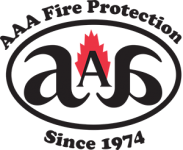 For San Francisco kitchen hood cleaning, turn to AAA Fire Protection Services. We have over 40 plus years of helping commercial kitchens just like yours to become compliant under UL300. We understand California fire code and we provide professional restaurant hood fire systems and restaurant exhaust cleaning services at affordable prices.